"Life" Palettes are a trend that have taken the beauty community by storm. 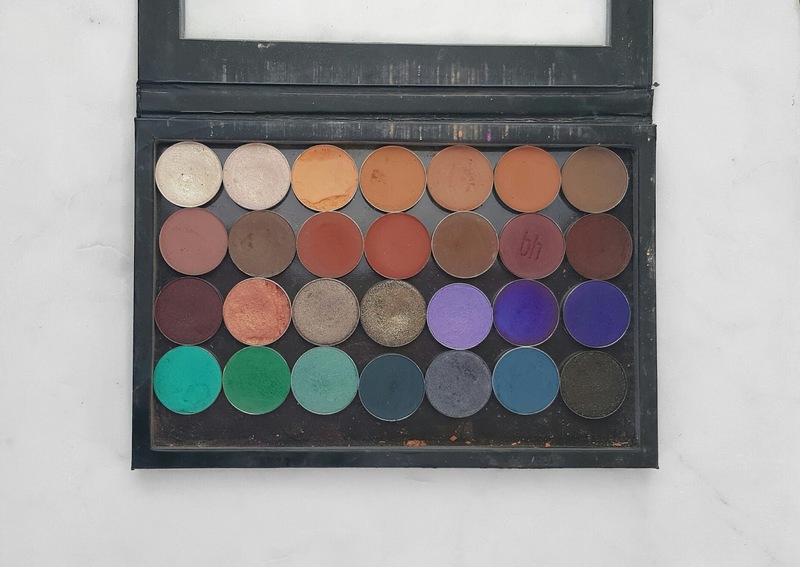 They are based upon the idea of housing all of your absolute fave powder products in one area, making them perfect for traveling or when you just don't have the luxury of carrying a bajillion loose palettes. 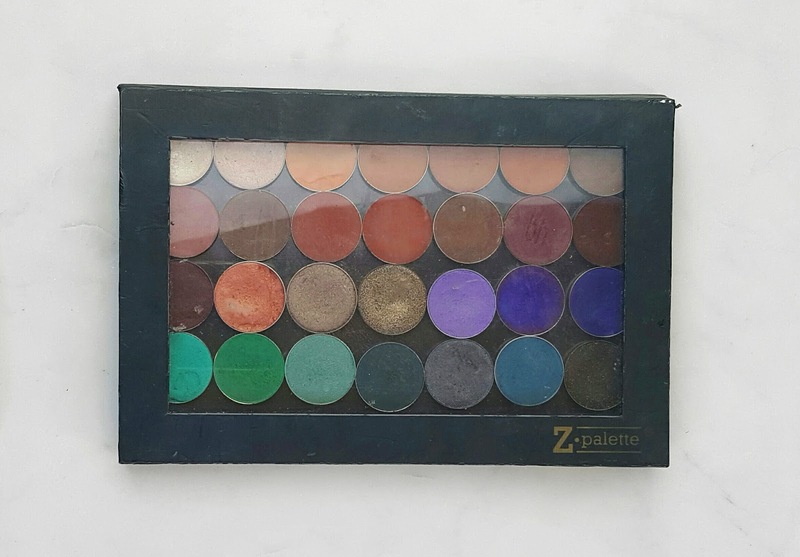 Now Z Palettes or any other magnetized palettes are no new concept whatsoever. As you can tell by the wear-and-tear on my baby, I've had mine for quite some time--back to when I did freelance makeup to be exact. Over the years, eyeshadows have come and gone out of this palette depending on how my personal preferences have changed and that's the whole point of a "life" palette. They are customizable to you. In fact, you don't even have to only stick to eyeshadows the way I did. You could fit some blushes and bronzers in there too (whatever floats your boat). I'm a lil bit crafty and like to use my eyeshadows as highlighters, bronzers, blushes, and even eyeshadow powders when I'm really in a pinch. The options are limitless and I challenge you all to creating your own! For me, having a wide variety of neutrals to choose from is very important, hence why more than half of my palette is various shades of brown. 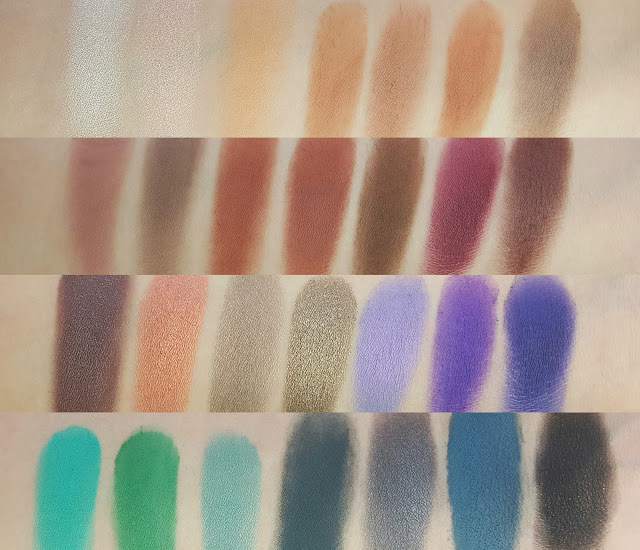 Depending on the look I'm going for, I'll need different transition and crease shades, so I like to keep my options open the most in that department. I've also included a bunch of different shimmery lid shades and pops of color for wherever my mood might take me that day. 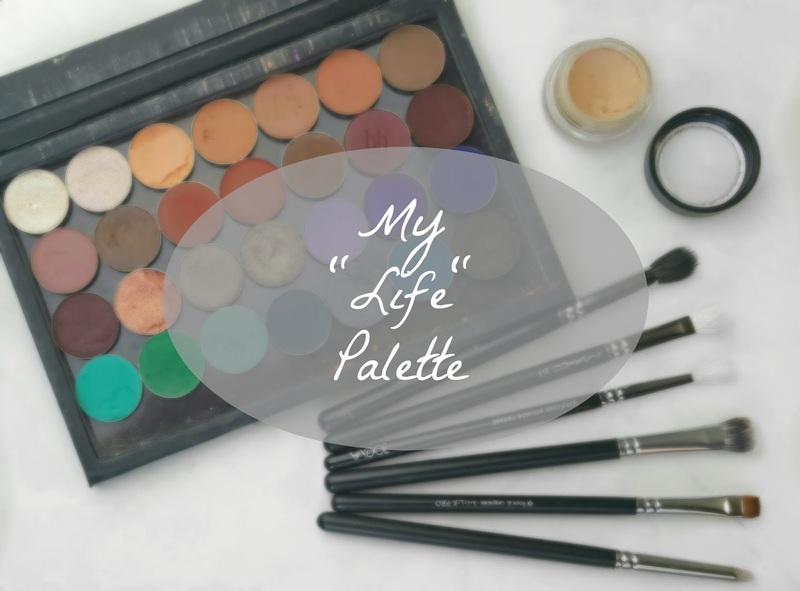 I chose all of these shades for my "life" palette because they never fail me; their pigmentation is out of this world and I always find myself reaching for them. 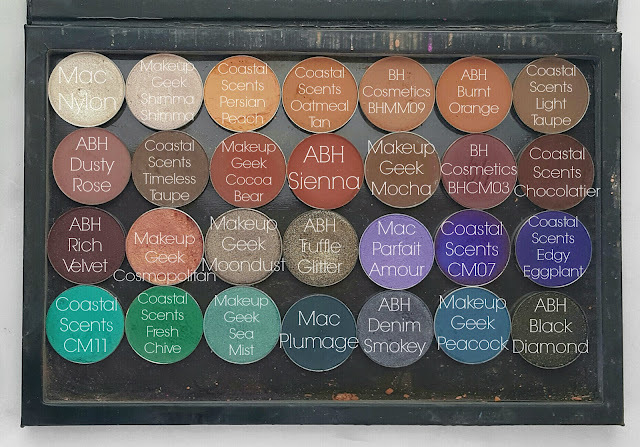 It surprises me that some of the shades don't have more of a dent in them considering how much I use them, but I guess that speaks to their pigmentation. While I love them all, some of my absolute favorites are: Mac Nylon, Coastal Scents Persian Peach, ABH Burnt Orange, ABH Sienna, BH Cosmetics BHCM03, ABH Rich Velvet, ABH Truffle Glitter, and Mac Plumage--in case you were looking for some eyeshadow recommendations.